Does your garden produce more fruit than you need? Are you too busy to harvest your own fruit? Do you love jams, jellies and preserves but don’t have the time or skill to make them? 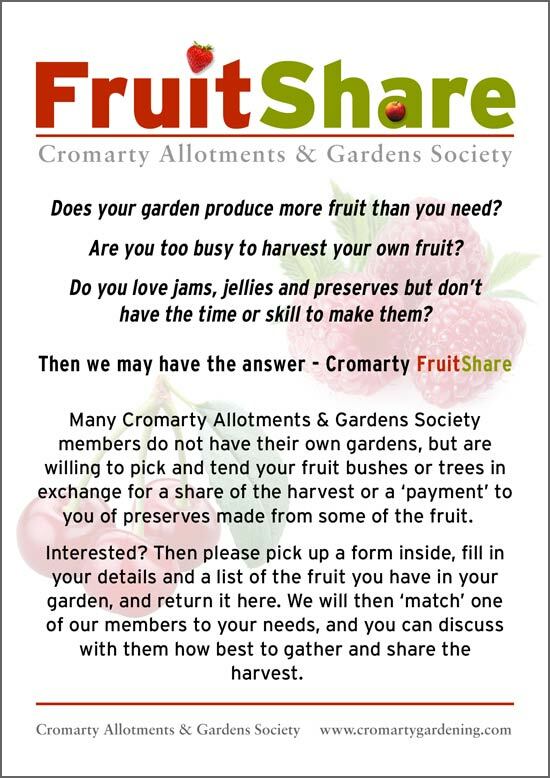 Many Cromarty Allotments & Gardens Society members do not have their own gardens, but are willing to pick and tend your fruit bushes or trees in exchange for a share of the harvest or a ‘payment’ to you of preserves made from some of the fruit.